Some of the presentations given at Law Without Walls 2012 would have gone down fabulously at TED. Here is the op-ed piece I've published in The Lawyer today on the end of Queen's Counsel. It’s time we got rid of the Queen’s Counsel (QC). It is archaic, woolly in definition, and the only state-sanctioned ’quality’ mark I can think of. These letters patent are issued by the Queen. We live in an age of transparency and accountability, and neither the process of selecting nor monitoring QCs is fit for this purpose. By all means have a distinction that speaks to expertise, but something as vague as expert at ’advocacy’ is woefully insufficient. The selection panel is a mix of the great and the good, with ’lay’ members taking up half the positions (are barristers the only professionals that seek to liken themselves to the clergy by their use of the term ’lay’?). References are taken from the judiciary, practitioners and clients, but the judiciary still plays the biggest role behind the scenes. There are other peculiarities. The cases that the panel wants candidates to write about should come from the previous two years of practice, not earlier. This is not like the Nobel Prize, where your whole body of work is scrutinised. No, the criterion is your excellence at the time of application. If there have been complaints about applicants they only have to disclose if they have admitted liability. Again, a strange benefit to those who never apologise or explain. The most peculiar part is that it is a reward for advocacy that privileges one part of the legal profession over all others. 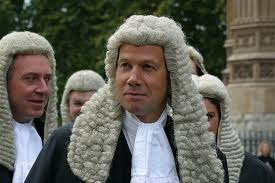 Take the 2011 competition: out of more than 200 successful applicants two were solicitors and none were legal executives. If you take the legal profession as a whole, advocacy is a minority sport because most of the work handled is transactional. So if prizes are to be awarded to lawyers, why not all of them? Moreover, the results show that it is the same old story - if you are a white, male barrister in civil practice your chances are much greater than anyone else’s. So, in the new outcomes-focused legal world is there still a place for this archaic institution? The answer is no. It raises costs, often leads to doubling of resources on cases, but worst of all does not signify any measurable quality. It’s not as if QCs have to go in for a legal MOT every few years to see if they are up to the job. 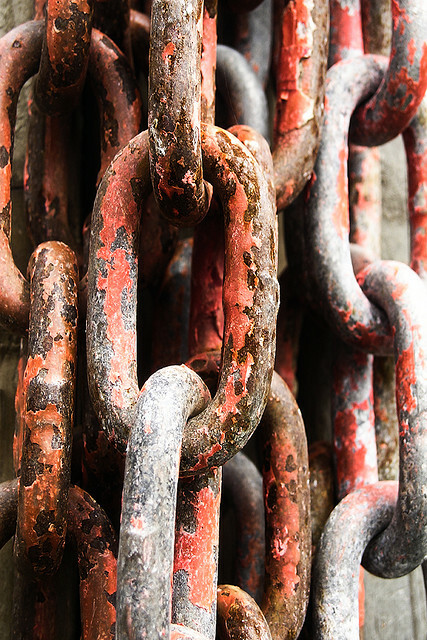 The Legal Services Consumer Panel has suggested incompetent QCs should lose the title. Bizarrely, during the time the raison d’être of the silk was being debated, some arguing in its support said that its loss would raise costs and that the junior bar would have no standard of propriety to aspire to. Perhaps the most outlandish argument was that barristers are quasi-public servants and that the QC had a quasi-judicial role. Judicial? Well, this was said by a QC. If we want to reward specialisation and expertise, let’s do it on a profession-wide basis, without the involvement of the state. Let’s make it open to all. Let’s drop the reference to the crown. If we need something, we could use Senior Counsel, but not if it merely replicates the QC. Let’s make it a testable process, with outcomes that require continuing sanction. Let’s bring the legal services market and its providers fully into the 21st century. If you google "queens counsel" you also get this little chap. His name is "Queen's Counsel z Vejminku, golden boy". 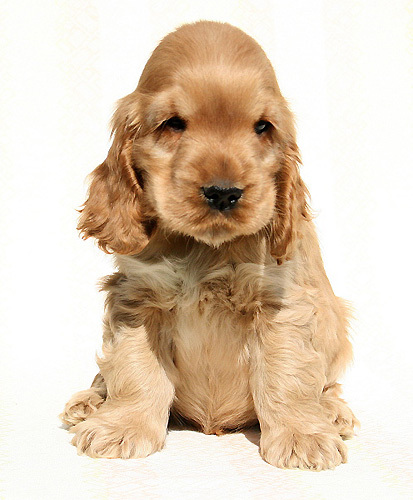 If you want a little cocker spaniel like him, his family are in the Czech Republic. The approach of the Leverhulme Trust can be characterised simply as: Tell us (in plain language) what research you want to do, and why it is compelling, and if that sounds persuasive we will try to fund the work. I will be studying "The New Legal Services Market". The research will embody a global perspective given the moves made by Australia and those being imposed by the Troika on Ireland, Greece and Portugal. I should add parenthetically that being global means I will be travelling outside London, even to New York. The Legal Services Act Takes Off in the US? There has been an interesting concatenation of events recently. The first Alternative Business Structures (ABS) were licensed this week with the Cooperative Legal Services (=Tesco Law) among them. Rather more prosaically and conservatively the New York State Bar Association finally decided to prohibit US law firms from taking external investment. Rule 5.4 would remain sacrosanct--never traduced. This occurred, unfortunately, as the International Task Force of the New York City Bar Association (ABCNY) came to London on a fact-finding mission to see how the Legal Services Act works and if it could be introduced into New York. The ABCNY is one of the oldest bar associations in the US and represents most of the larger law firms, so it has considerable authority in the American legal establishment. Various bloggers and critics (here and here) have debated whether the introduction of UK Legal Services Act style law practices would be a good thing both in the public and consumer interest. Nevertheless reaction to the forces of conservatism and NIMBYism has set in. North Carolina, which has been considering a bill, for over a year, to allow external ownership in law and accounting firms, has decided to move ahead having finally reached a consensus on the issue. North Carolina believes that neither New York nor the ABA's 20/20 Commission should have the last word on this. A member of Senator Fletcher Hartsell's staff, who is sponsoring the bill, said, "This provides an opportunity for North Carolina that we can't miss. If we take this through, North Carolina could become to law firms what Delaware is to corporations. We see most of the major AmLaw 200 firms opening offices or headquartering here." It is rumored that the senator's staff in conjunction with the North Carolina Bar Association (which has thrown its weight behind the move) have been talking to the Legal Services Board and the Solicitors Regulation Authority about how the Legal Services Act regulatory structures are working and also how outcomes-focused regulation might be applied in the US. Other commentators have come out in support. Anthony Davis argues that the US needs a national lawyer regulator with common ethical standards. It's possible that North Carolina's move into external ownership could be the opening that national regulation needs. This would clearly put New York and the ABA on the back foot. If North Carolina continues with this kind of commitment I candidly contemplate a new professional order emerging. If we add in the moves of the Troika in Europe on liberalizing legal professions, this could become an unstoppable movement. The world of law, law firms and professionalism will never be the same again.